Used by THOUSANDS of coaches worldwide, the SHOOTING STRAP™ is the BEST product available for improving Accuracy and Form. Coaches are AMAZED how it immediately begins developing BOTH hands with proper mechanics. 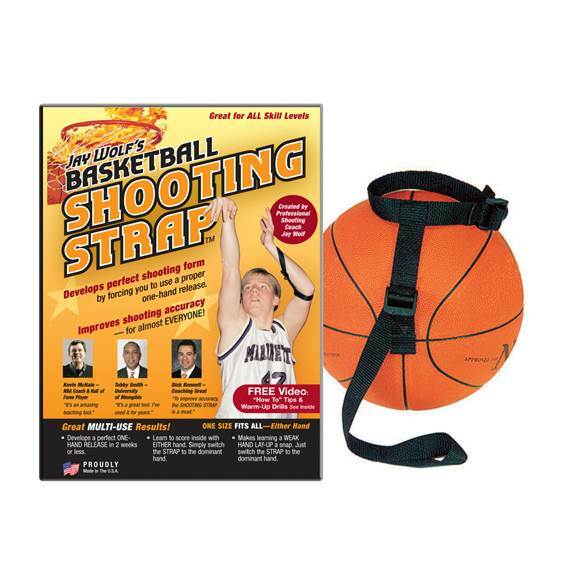 IMPORTANT: The STRAP is MOST effective when combined with Jay’s practice plans – Six Steps To Become A STAR SHOOTER & FIVE STAR ALL-AMERICAN WORKOUTS. The SHOOTING STRAP unbelievably causes EVERYONE to improve accuracy.